She is currently a Fulbright phd student in Political Science, major in International Relations, and minor in Comparative Politics, at SUNY Albany. Previously, she worked as a faculty member in the Department of International Relations at BINUS University. Her research interests include nuclear non-proliferation, the Korean Peninsula crises, the Iran nuclear deal, CBRN terrorism, transnational movements, the ASEAN, and the politics of women bodies. 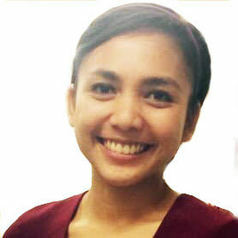 She received her bachelor degree in International Relations from University of Indonesia and MA in Science and Security from King’s College London. She is also a Certified Nuclear Security Professional with Specialisation in Science and Engineering for Nuclear Security. She is a member of: 1) the International Nuclear Security Education Network; 2) Women in War and International Politics; and 3) Women in Nuclear Global.